The waltz-rhythmed European sound in Hridayathin Niramai follows a very tried-and-tested route but composer Govind Menon presents the whole package beautifully, and when it is a combination of accordion and mandolin and violin, it is hard not to fall in love with the song! 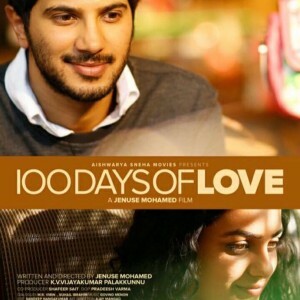 Very well sung by Vijay Yesudas and Mridula Warrier. Also helping is the lovely video the song came out with a few days back. Something about Arike Pozhiyum makes me think of it as a Rex Vijayan composition, maybe the mandolin. Fabulous song by the way that follows the same rhythm as Hridayathin, though not in that pronounced waltz-y way. The guitars (by Mithun Raju) and mandolin (by Govind) lead the way in the backdrop with the occasional appearance by the clarinet (? ), even as Govind sings his heart out. Riding on an addictive tune and a lush arrangement (once again highlighted by accordion), Manjiloode is another of the soundtrack’s winners. Govind gets his Thaikkudam Bridge compatriot Christine Jose to sing this one along with Divya S Nair, both of whom do their job wonderfully. The final track Ninnekaanan starts off promisingly with that ever-effective Celtic refrain (again on accordion! ), but then takes a dip into a middling pop-ish fare. The only song to not make any real impact, despite Benny Dayal’s energy behind the mic. Closing the soundtrack is the immensely addictive theme song (which I got hold of later, not part of the youtube jukebox). An instrumental piece that once again follows the rhythmic structure of the first two songs, the piece builds on Mithun’ guitar work and Govind’s mandolin, but the man who takes centre-stage in this one is Vishnu with his lovely flute-play. Don’t know about his direction skills, but Jenuse Mohamed proves in 100 Days of Love that he has definitely inherited his father’s (director Kamal) musical tastes. And another impressive soundtrack from Govind Menon.